It's no secret that Mista Silva is one of the best UK Afrobeat artists and he is hiolds that crown up highly. After making major movements and waves all over the UK especially after his debut E.P 'Full Vim' hit the airwaves and performed at shows such as E4 Udderbelly Festival, BBC Radio 1 Hackney Weekender, Africa Unplugged, I Love Afrobeats Festival, Somerset House’ Summer Afrobeats Series and WizKid’s UK tour among other essential Afrobeats gigs and concerts of 2012, which also saw Mista Silva perform across the globe, notably in Germany, Holland, Ghana and Austria. 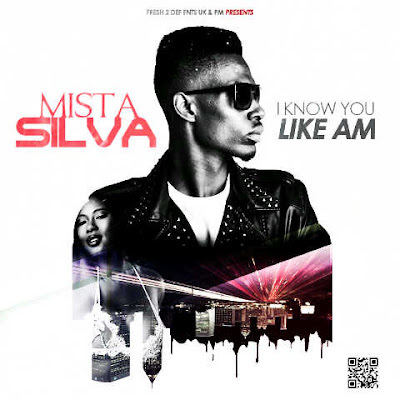 Being one of the modern voices of a new generation alongside a few others - Mista Silva has dropped a new single for 2013 'I Know You Like Am' picking up from where he left off in 2012. Silva is the first unsigned Afrobeats artist to be playlisted on BBC 1Xtra with his single 'Boom Boom Tah' featuring a few Afrobeat UK allstars. Mista Silva was awarded the UK Artist of the Year 2012 gong at the GMA Europer 2012 as well as Best Emerging Act 2012 at the GUBA Awards. Mista Silva rounded off a fantastic 2012 with the release of “No. 1” music video off the Full Vim E.P. Mista Silva is set to release the follow up from Full Vim with his new E.P More Vim, which he is set to release later on this year.